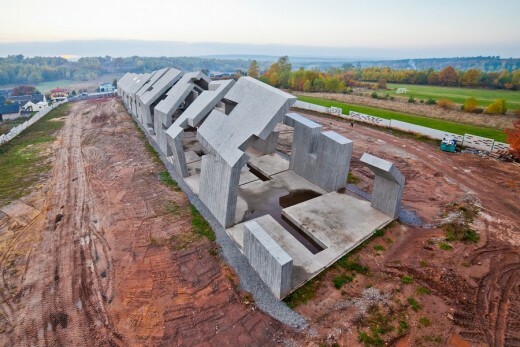 The building site of the Mausoleum of the Martyrdom of Polish Villages in Michniów is undergoing the successive fifth stage of construction works. 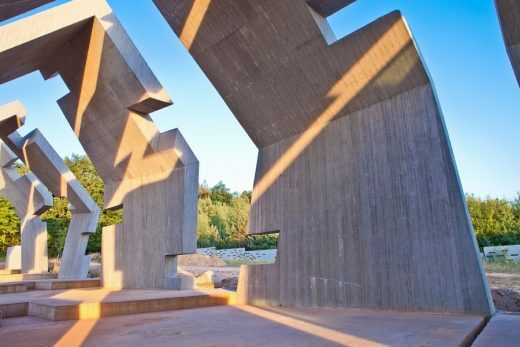 The Mausoleum’s design envisaged a monolithic sculptural architectural form to give room to a multimedia exhibition which through its shape is to convey the dramaturgy of the historical developments symbolised by Michniów itself. The Mausoleum, designed by the renowned Warsaw-based studio Nizio Design International, is scheduled to be opened in 2016/2017. 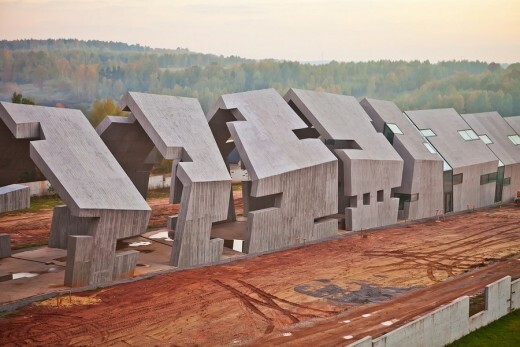 Mirosław Nizio’s studio won the competition for the design of the Mausoleum building in 2009. Nizio Design International is the general designer of the Mausoleum responsible for its site development and architectural and interior designs. Also, the studio was tasked to develop the design both in its conceptual and construction phases, as well as to supervise the works from start to finish. 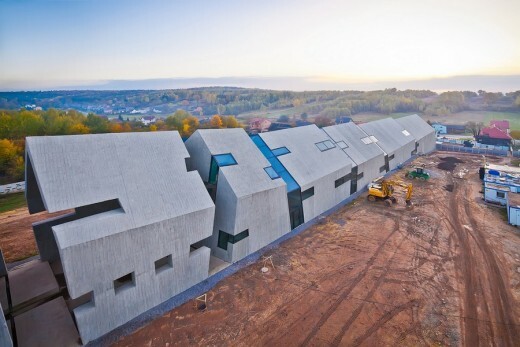 In 2011 the design won the European Property Award in the category Public Service Architecture. 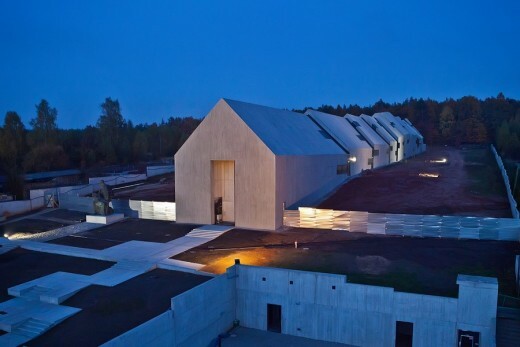 The Mausoleum of the Martyrdom of Polish Villages is a project commissioned by the Museum of Kielce Region Countryside with a view to commemorating the victims of the repressions suffered by Polish rural communities during the German occupation. Michniów – pacified on 12 July, 1943 – today is a symbol of all village pacifications that took place during World War II. 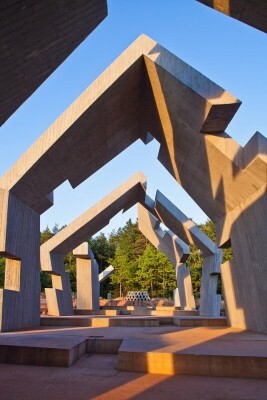 The site on which the Mausoleum is being built used to be a symbolic place of remembrance dedicated to those tragic incidents: originally, a collective grave of the victims was erected (in 1945), followed by the “Pieta of Michniów” sculpture and National Remembrance House. The first stage of works on the construction site of the Mausoleum delivered the site fence, services building, and the car park. Also, a number of paths leading to the grave were built at the time. Phase two involved building the underground structures, phase three produced the foundation of the open parts, and phase four, the most difficult so far, resulted in the construction of the essential components of the building. Currently underway is phase five whose objective is to build the approaches from the grave to the Mausoleum building. 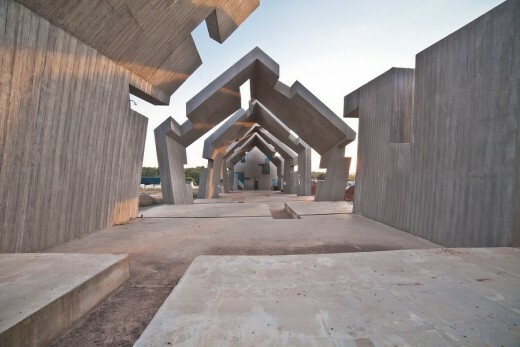 The object’s monolithic structure was designed in full applying the watertight concrete jointing and injection technology. The ferroconcrete pilasters that rise from the slab foundation come together at the roof ridge. They support the external envelope that serves both as the elevation and the insulation layer. In the walls and roof slopes the designers “hid” such elements as ventilation ducts, telecommunication and electrical infrastructure. The design created by Mirosław Nizio’s studio envisaged that the visible surfaces of ferroconcrete elements would reproduce the structural features of wood. 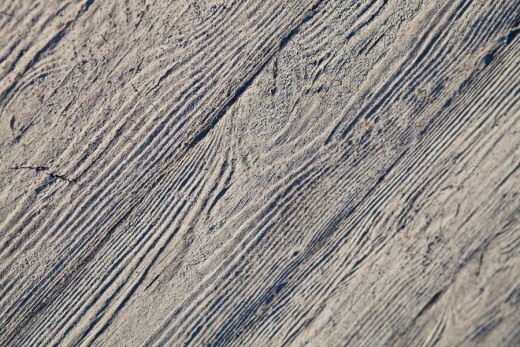 This effect was achieved by applying on the surface – using matrix impressions – a special thin-layer plaster for ferroconcrete structure repairs. 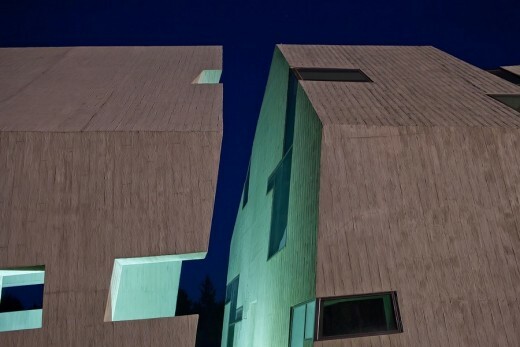 Such impressions were applied on the roof slopes, inner walls, and side elevations. The building has a characteristic segmented structure. 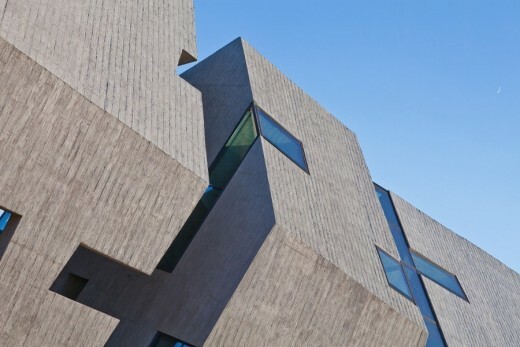 Its tissue is cut across by cracks that divide the architectural form into closed and open parts. This form is the resultant of the sculptural inspirations and thinking of the architecture’s consistency with the historical narrative. Also, it was informed by the need to adjust the building to the shape of its site featuring 10-15% slope of the ground. The subsequent closed and open segments – there are five of the former and six of the latter – lead the visitors through the exhibition that shows the history of the pacification and presents its subsequent stages and the process of escalating repression. In parallel to the narrative the building undergoes deformation and “destruction”, which symbolically conveys the annihilation that took place here. The gaps between the subsequent closed segments, the walls and the roof boast glass architectural features. The overall surface of the layout exceeds 16,200 sq m. The core exhibition of the projected museum will take 1,700 sq m, while temporary exhibitions will occupy 270 sq m.